Vera mourns the loss of Amy Judy, a senior program associate in our Center on Victimization and Safety (CVS), who passed away this past weekend. Amy had been at Vera for almost two years, but has been a part of the Vera family for well over 15 years, lending her expertise to shape CVS’s work from its very beginning. 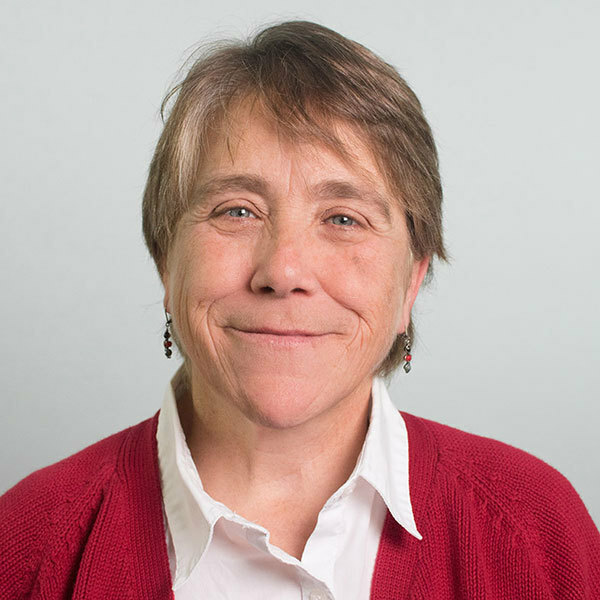 A graduate of Beloit College and University of Wisconsin-Madison Law School, and resident of Madison, Amy worked for over 20 years on state and national policy and program development, legal and personal advocacy, and training with and about people with disabilities. She also had more than 25 years of experience in community organizing for a broad range of social justice issues, including disability rights and women’s rights. Prior to joining Vera, Amy served as project coordinator for Disability Rights Wisconsin, which works to elevate collaboration among state, local, and tribal programs that focus on sexual assault, domestic violence, and disability, while enhancing their collective capacity to respond effectively to survivors of violence with disabilities and Deaf survivors, using a trauma-informed framework. At Vera, Amy helped build a robust set of resources for grantees wishing to sustain their work beyond funding, developed policy and issue briefs related to the abuse of people with disabilities, and directly supported grantee communities. As CVS embarks on a new, nationwide project to assist the crime victims field in better reaching and serving all crime survivors, she was preparing to oversee the work related to crime victims with disabilities. “Kind, strong in her beliefs, warm, and empathetic. Our Vera family is going to miss her deeply." Amy had both a personal and professional commitment to social justice, access, and inclusion. She was actively involved in her Madison community and was a dedicated friend to many. The impact of her life’s work will live on in the countless people she has helped. Indeed, a foundational report she co-authored—entitled “How Safe are Americans with Disabilities?”—will be published this spring. Through that and the lives she’s touched, her advocacy and spirit will remain with us. "A lot can and should be said about Amy's work and impact on the field. But an awful lot must be said about the kind of colleague she was,” says Vera President Nicholas Turner. “Kind, strong in her beliefs, warm, and empathetic. Our Vera family is going to miss her deeply."